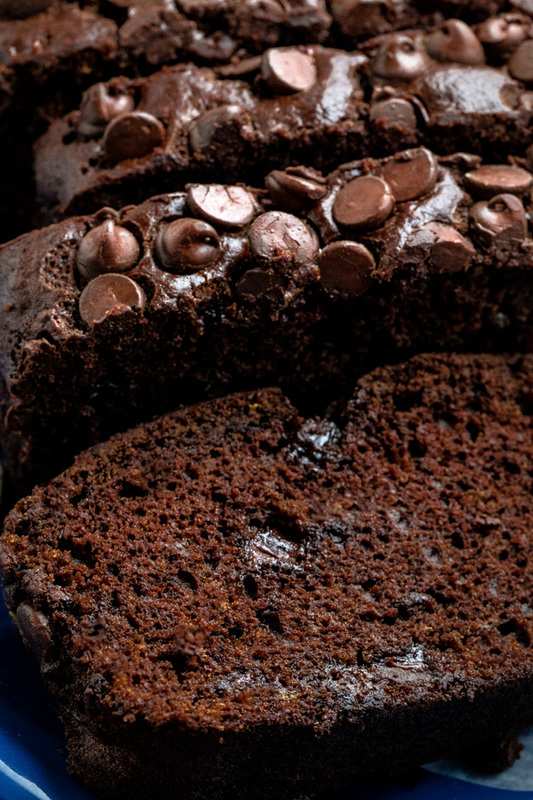 This chocolate banana bread recipe is one of the easiest recipes to put together! Not only is the ingredient list simple but no mixer is involved and you get rich tasting results! Cocoa powder and chocolate chips are the only chocolate ingredients you’ll need to put this together. No fuss with melting chocolate and everything goes into one loaf pan! EASY, EASY, EASY! Banana Bread is good and chocolate chunk banana muffins are even better but bananas and chocolate make quite a rich and chocolaty combination. 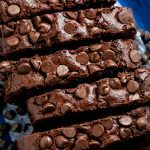 This chocolate banana bread is like a fluffy chocolate pound cake with chocolate chips and a hint of banana flavor. Why make this Chocolate Banana Bread? Vegetable oil, melted butter or coconut oil can all be substituted for the canola oil called for in the recipe. Use very ripe bananas. The browner the sweeter. Avoid over mixing the batter. Unsweetened cocoa, dutch or dark can be used. Semisweet Chocolate chips can be swapped out for peanut butter or milk chocolate chips. Granulated sugar can be used in place for the brown sugar. 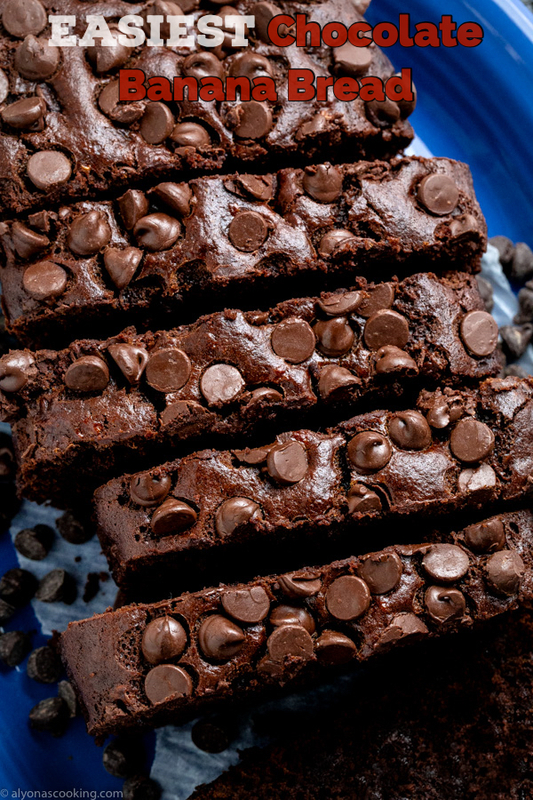 PIN THIS CHOCOLATE BANANA BREAD RECIPE TO YOUR FAVORITE BOARD! Microwaving the bananas for 2 minutes is the quickest method to ripen bananas! Poke the banana in its peel, all over with a fork and microwave every 2 minutes checking for the desired ripeness every 30-seconds. Check out this 5 Genius ways to quickly ripen bananas post for helpful tips! Can you freeze Chocolate Banana Bread? Yes! Allow chocolate banana bread to completely cool in the loaf pan first, then remove and slice. Place into a freezer gallon sized zip-loc bag with as much air out as possible. To begin, preheat oven to 350° F. Line a loaf pan with parchment paper and set aside. Then, in large bowl mash bananas; whisk in the oil, sugar, eggs, and vanilla until well combined. After that, Whisk in the dry ingredients. Fold in 3/4 cup of the chocolate chips and pour batter into a 9 by 5-inch loaf pan. Sprinkle with remaining 1/4 cup of chocolate chips over the top. Furthermore, bake in the preheated oven for 50 minutes. Remove and allow to cool completely in the pan. Not a fan of Banana’s swap out for these chocolate desserts Moist chocolate cupcakes, Chocolate cherry cake, chocolate brownies recipe. 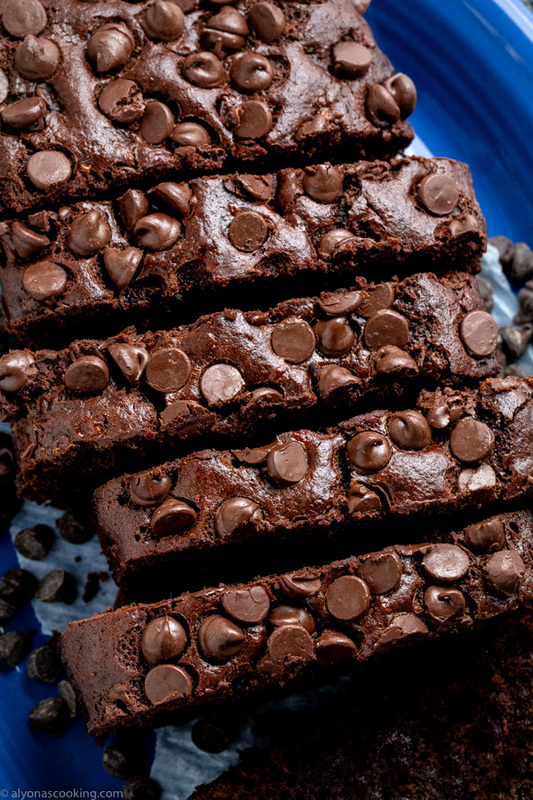 The Easiest chocolate banana bread recipe you'll probably ever come across! Easy, delicious, simple ingredient list and no mixer required! A Chocolate lover's craving solved! Preheat oven to 350° F. Line a loaf pan with parchment paper and set aside. In a large bowl mash bananas. Whisk in the oil, sugar, eggs, and vanilla until well combined. Fold in 3/4 cup of the chocolate chips and pour batter into a 9 by 5-inch loaf pan. Sprinkle with remaining 1/4 cup of chocolate chips. Bake in the preheated oven for 50 minutes. Remove and allow to cool completely in the pan.